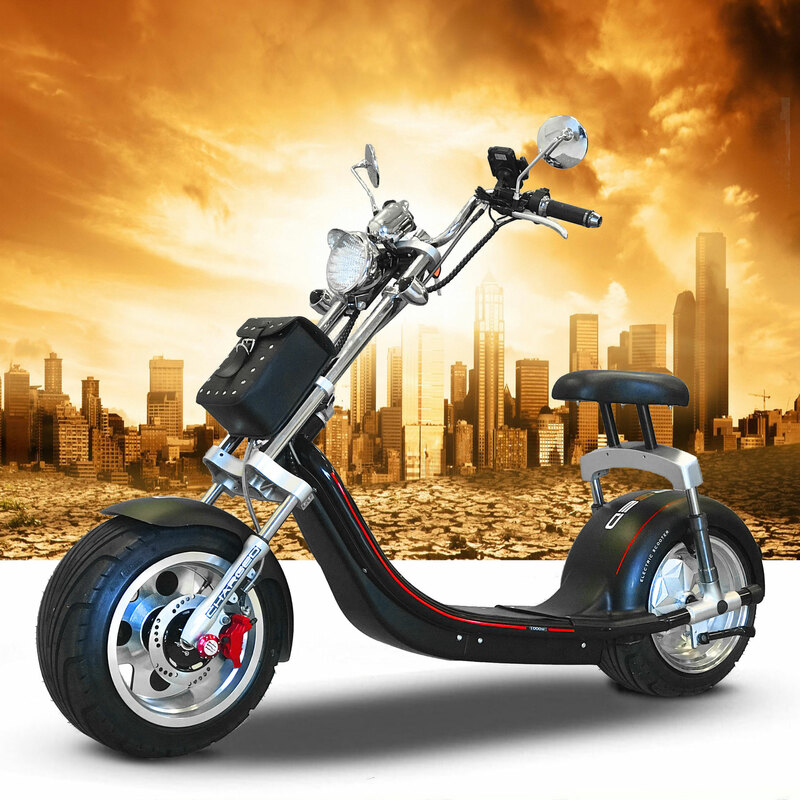 Charged scooter is a perfect vehicle for adventurous people living in the city. 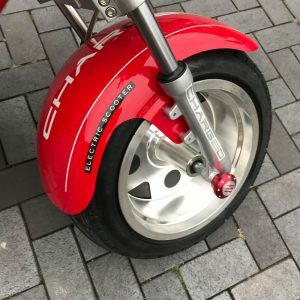 The good news is that you do not need a driver’s license to drive an electric scooter. 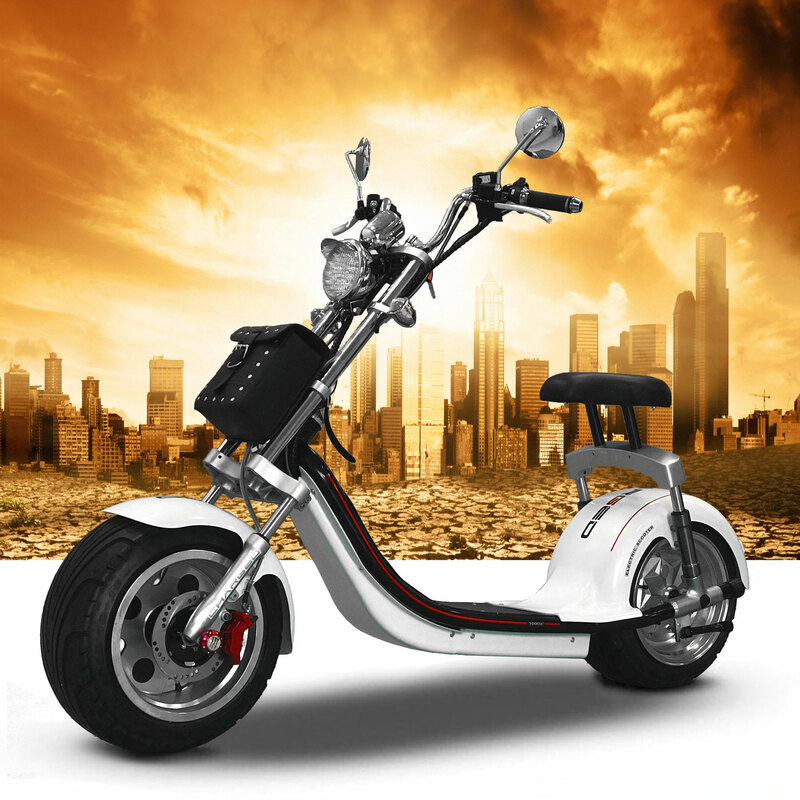 Hence, no one can stop you from going on new adventures with Charged Scooter Vogue Edition! 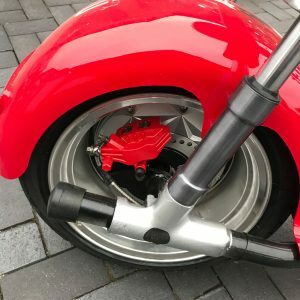 It’s one of the most beautiful scooters we have to offer. 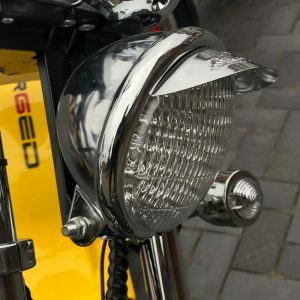 The stylish design resembles Harley Davidson motorcycles. However, it’s more city-friendly. 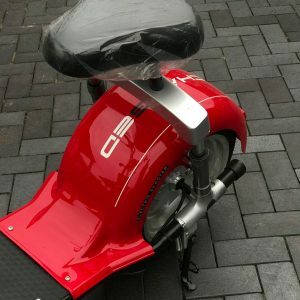 The Charged electric scooter is created in China, but tuned, upgraded and reassembled in Lithuania. 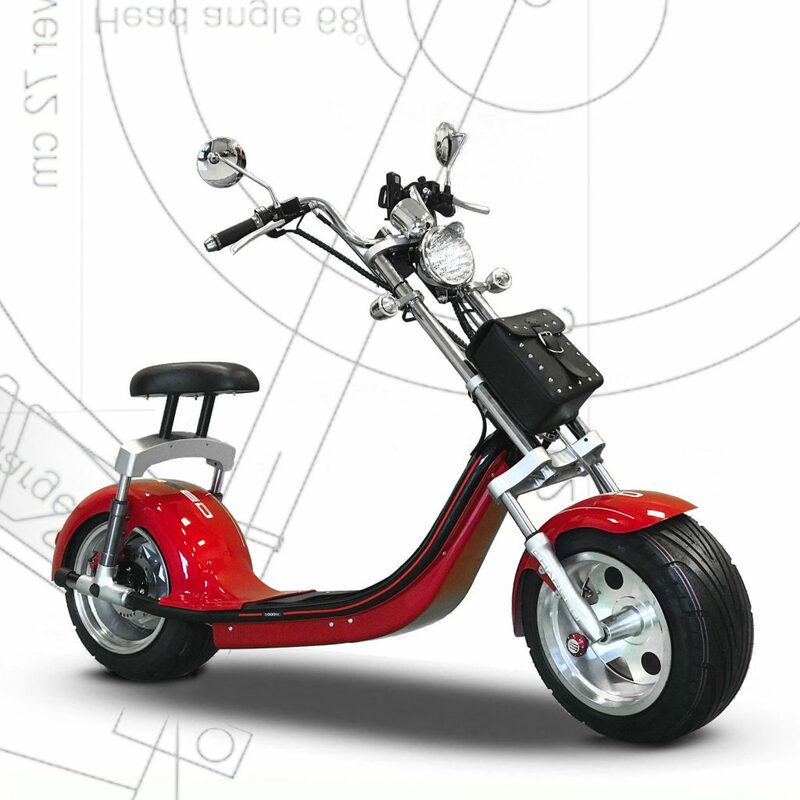 The scooter is available in four different colors, so you can choose the one that suits your personality the best. Full specifications are listed below. The stylish electric scooter can reach 25 km/h speed and has 1000 W of motor power. However, we can upgrade it and offer more speed to you. 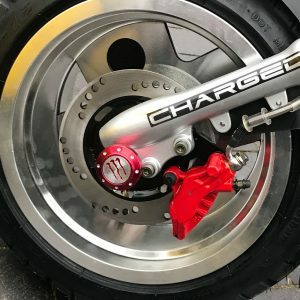 The upgraded Charged scooter can reach even 40 km/h, so it can replace your car. 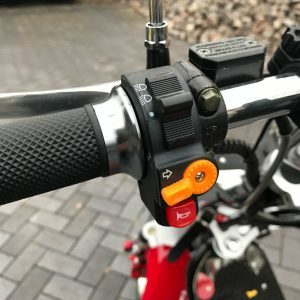 However, you will need to take full responsibility for scooter’s exploitation and your safety. 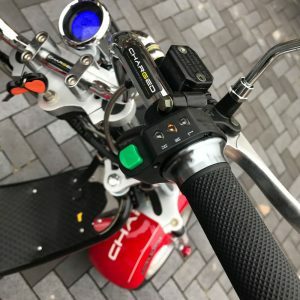 Keep in mind that driving upgraded electric scooter requires driver’s license. Additionally, you will need to register the vehicle, get the number plate, pay the insurance and stay away from bicycle roads. Upgrade Charged scooter for the maximum experience! 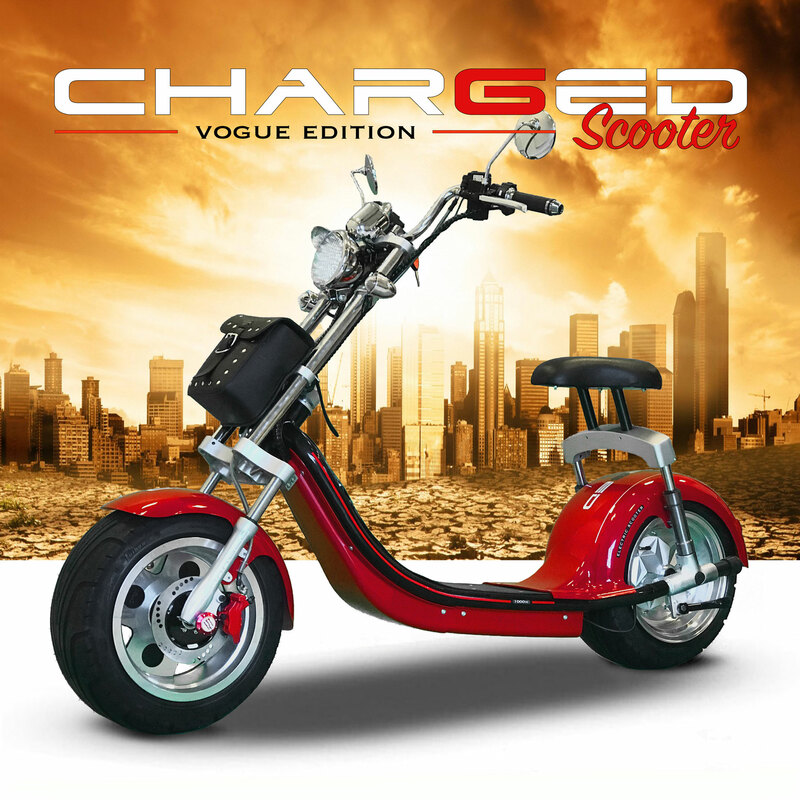 Charged Scooter Vogue Edition has three speed modes: pedestrian, bicycle, and maximum power. We used bicycle mode for our tests. 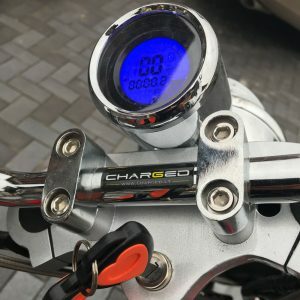 Charged scooter has 60V 12AH/20AH lithium battery. 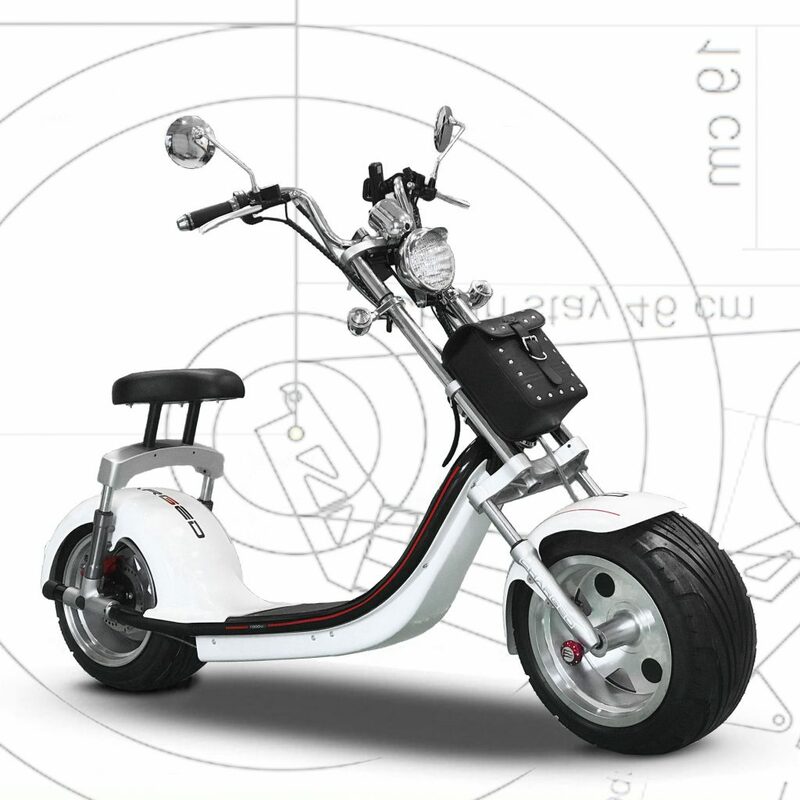 The fully charged battery allows reaching up to 40-60 km. The charging time is 6-8 hours, so once you arrive at work, you can fully charge it during the working hours. 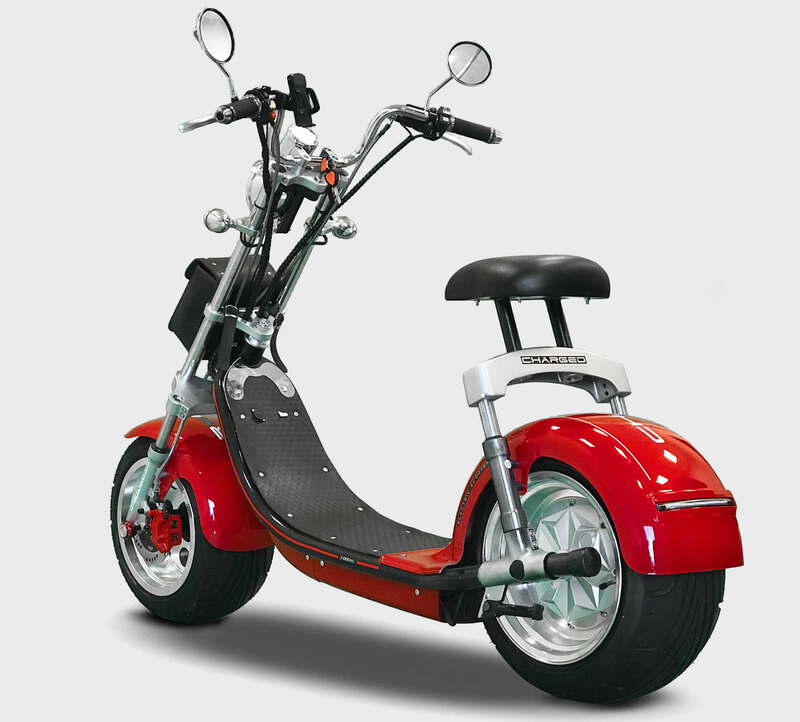 Electric scooter has front and rear hydraulic disc brakes, aluminum hydraulic shock front suspension and rear hydraulic suspension. 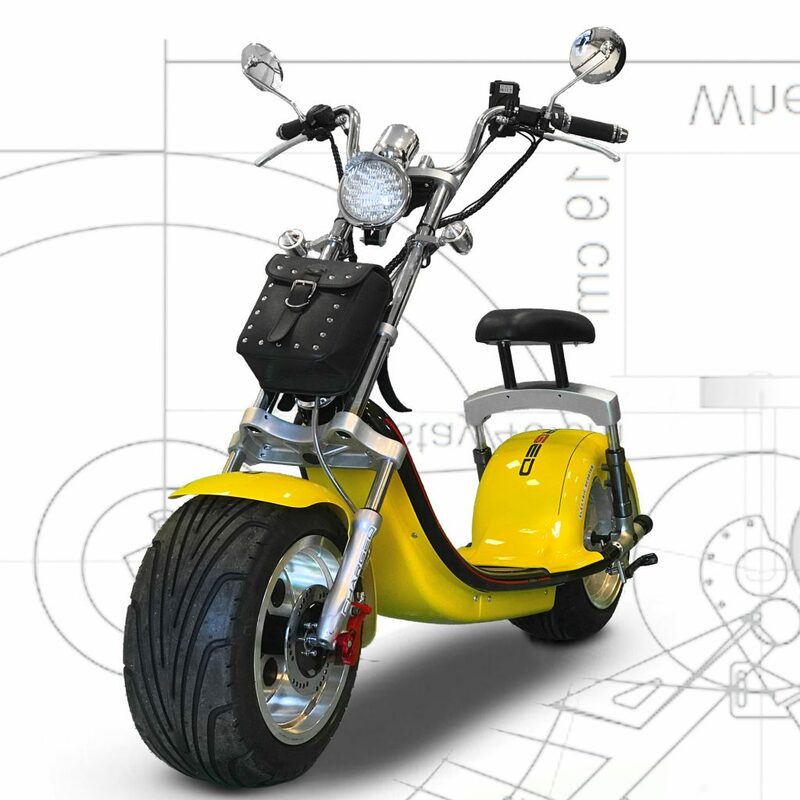 These characteristics ensure that scooter is comfortable and safe to drive. Short braking distance allows controlling the vehicle easily and stopping immediately in case of emergency. 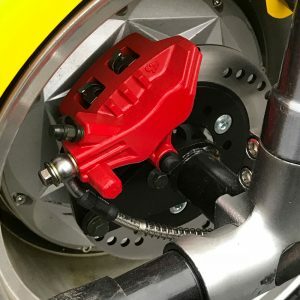 We can also offer additional features to the Charged scooter, such as alarm system or ability to control scooter with the help of the app. Charged Vogue scooters are all about the design. 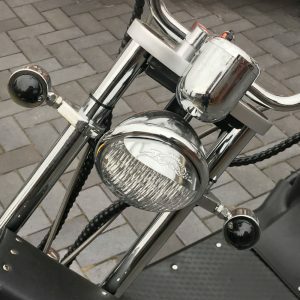 These are the most beautiful and stylish scooters we are offering. 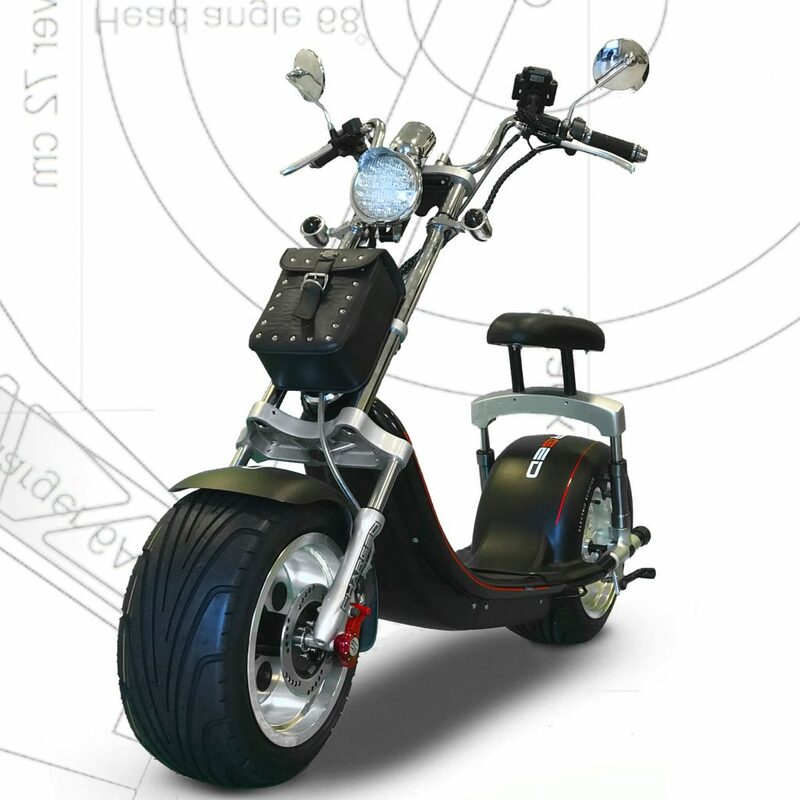 The design is inspired by Harley Davidson motorcycles, but the vehicle itself is not that dangerous and threatening. 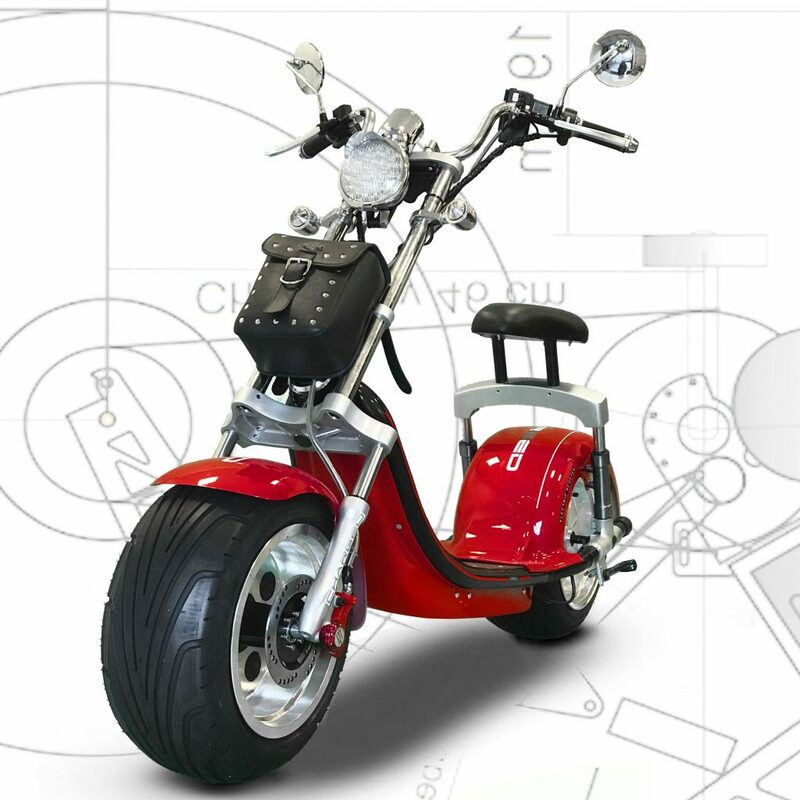 It’s a friendly scooter who lets to explore the city or travel to work in style. 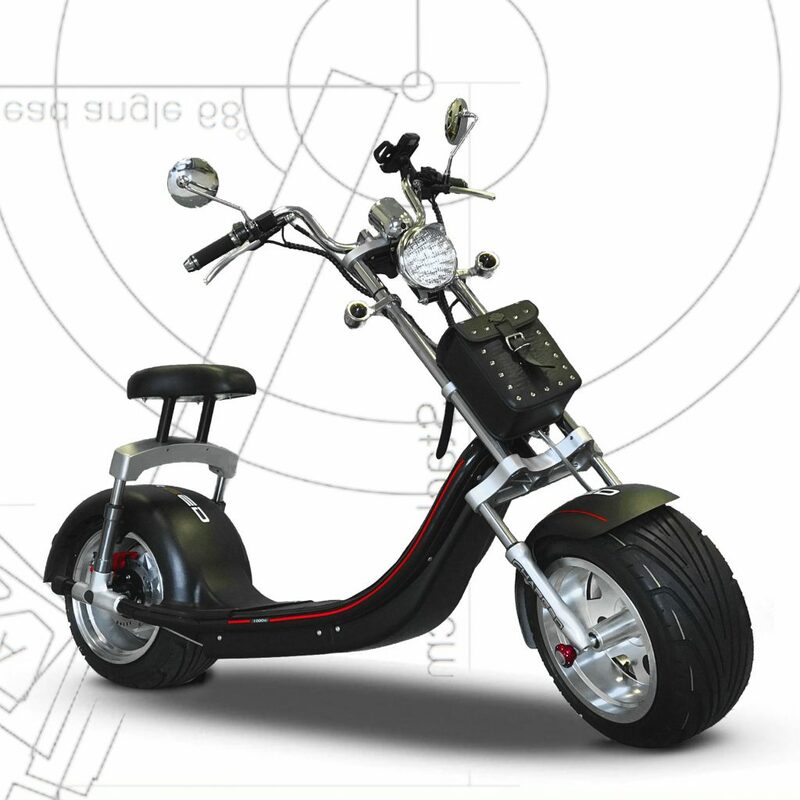 The electric scooter has a CNC handlebar and is available in white, black, yellow and red colors. Hence, you can choose the one that fits your personality the best. Red Charged electric scooter is the attention seeker. Red catches the eye and grabs the attention. It lets you drive like a flame. 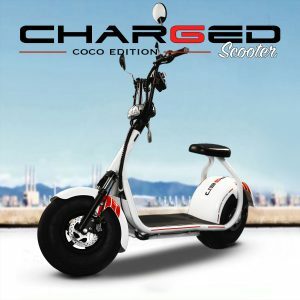 You won’t be unnoticed when driving with Charged scooter. Black never goes out of style. 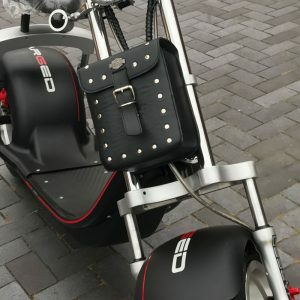 Black Charged scooter has a classic design and gives a sense of elegance. It is stylish and blends in the city life. 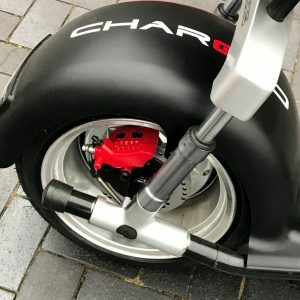 Charged electric scooter boosts your confidence and helps to reach your destination in style. 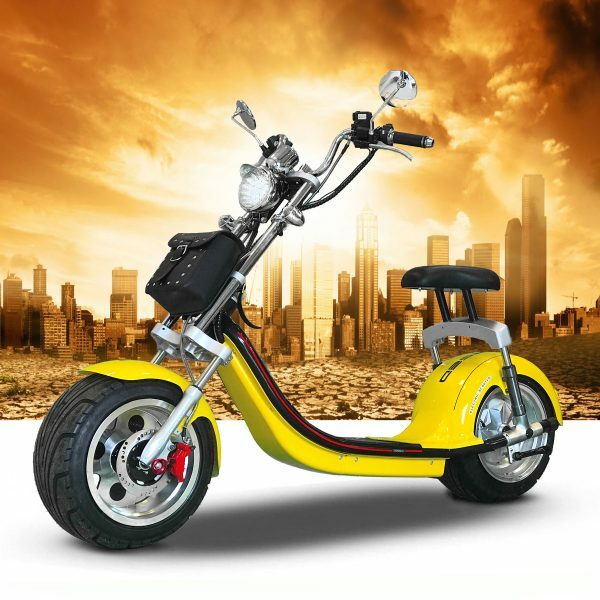 Yellow Charged scooter is for adventurous souls. 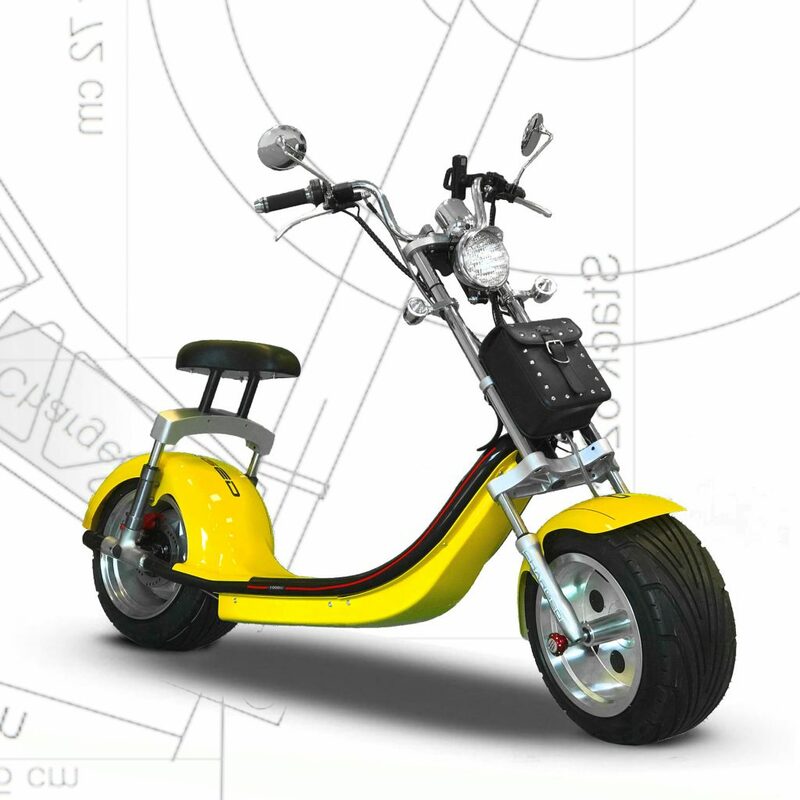 The bright color gives you energy and inspires to take the Charged electric scooter for the new adventures in the city. 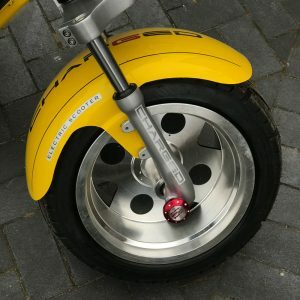 Everyone knows that a person who parked a yellow scooter near the coffeehouse or popular meeting spot has exciting stories to tell. 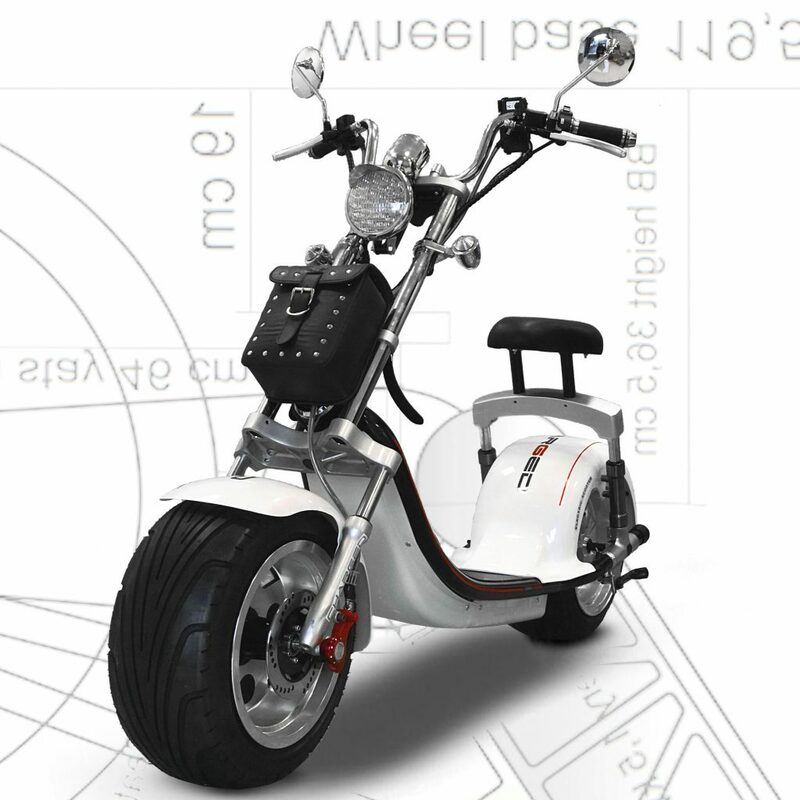 White Charged electric scooter gives the sense of fresh wind. White stands for youth, simplicity and positive energy. 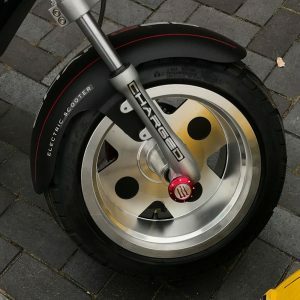 The electric scooter is a perfect vehicle to drive to work, go to the meeting with old classmates or even go for a quick grocery shopping.